It's been a while since we learned that Radiohead axe-slinger Jonny Greenwood would be scoring filmmaker Paul Thomas Anderson's upcoming project The Master. Now, with the movie hitting screens September 14, the Greenwood-curated soundtrack has been detailed in full. 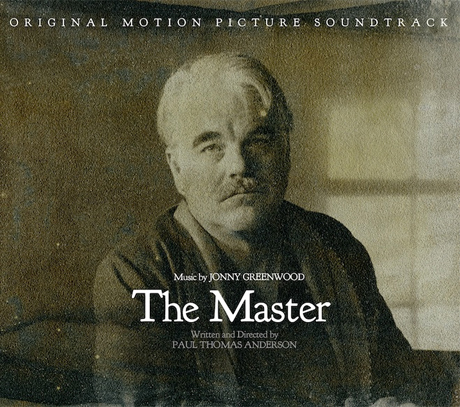 The Master's score arrives just a few days before the film on September 11, through Nonesuch Records. Greenwood composed 11 of the pieces on 15-track outing, and six of those were performed by the London Contemporary Orchestra. The rest of the soundtrack is filled up with jazz standards from Ella Fitzgerald, Jo Stafford and more. This differs from Greenwood's score for Anderson's Academy Award-winning 2007 film There Will Be Blood, which solely showcased the Radiohead member's original sounds. If you pre-order the set now over at Nonesuch, you'll receive an instant download of Greenwood's "Application 45 Version 1." As previously reported, The Master stars Philip Seymour Hoffman, Joaquin Phoenix and Amy Adams. The storyline centres on the troubled right-hand man (Phoenix) of "The Master" (Hoffman), whose new, faith-based movement gathers steam across the U.S. following World War II. Down below, you can check out the trailer, which features weepy strings and elliptical harp plucking, and Stafford's "No Other Love."